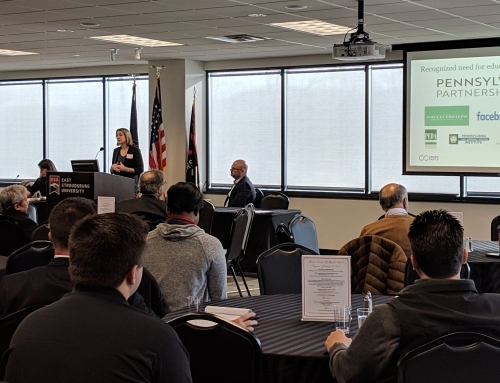 (EAST STROUDSBURG, PA) – January 8, 2018 – The Monroe County Gigabit Project meeting and Pennsylvania Accelerator Awards presentation has been rescheduled to Thursday, January 18, 2018 at 9:00 a.m. Last December, the Pennsylvania Acceleration Project collected nominations for its first annual Pennsylvania Accelerator Awards. At the January 18th meeting, the Pennsylvania Acceleration Project will present the 2017 Pennsylvania Accelerator Awards to deserving organizations and individuals that have advanced the acceleration of technology, technology-infrastructure and workforce training across Pennsylvania. 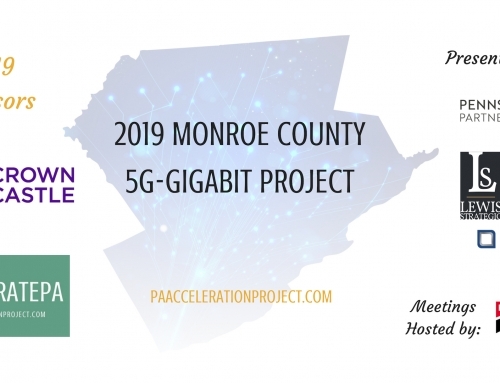 Without precedent in the United States, the Monroe County Gigabit Project recently announced two (2) Gigabit investments made in Monroe County, by PenTeleData and NCN Data, Inc., both without taxpayer funding. These investments were promulgated and promoted in part by and through the RFP issued by the Monroe County Gigabit Project. The public is invited and encouraged to attend. Light refreshments will be provided. RSVP by visiting www.esu.edu/gigabit. The Pennsylvania Acceleration Project is an implementation team speeding broadband, workforce and innovation initiatives across Pennsylvania. The Broadband Implementation team of Dellicker Strategies, Business Information Group and Lewis Strategic has successfully completed nearly 100 regional broadband projects in Pennsylvania and surrounding states. Since 2003, industry-pioneer Dellicker Strategies has led broadband aggregation projects for schools, intermediate units, hospitals, doctors, corporations, agencies and communities. For additional information visit our website, www.PAaccelerationProject.com, and follow Accelerate Pennsylvania on Twitter @AcceleratePenna and on Instagram and Facebook @AcceleratePA.